Graduate school programs such as an MBA can provide the advanced skills required to take a career to the next level. They not only offer academic knowledge but also peer interaction to test ideas, hone abilities and gain insights into one another’s strengths. Building and nourishing a strong academic network can form a valuable circle of influence to provide a pool of knowledge and sounding boards for challenging career moments. Academic networking can build upon the theoretical benefits of a graduate degree when applied within practical professional arenas for a lifetime of learning. 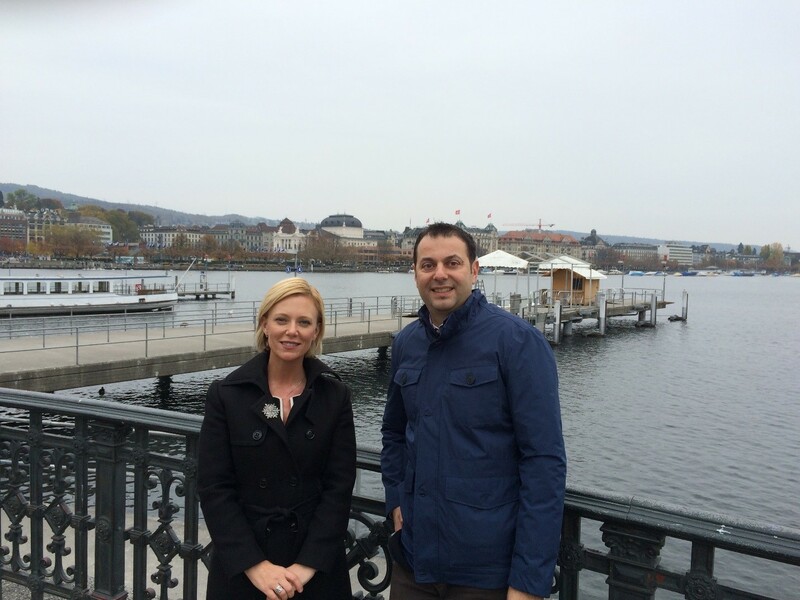 Robert Kennedy College (RKC) in Zürich, Switzerland, hosts and manages the online portion of master’s level programs. A notable advantage of the RKC combined online and residency program is the global network of professionals from several universities interacting in the online forums and Campus Café. With over 5,000 students from 130 different countries, the opportunity to build an international professional network is exceptional. These interactions are not only virtual; students also meet face-to-face while attending their residencies. The Masters level programs bring mid- to senior- level professionals with wide ranging experience and geographical locations together. Within a traditional university, students are all living and working in the city or region. However, at RKC, students live and work in their home country, bringing their local perspectives into each discussion and lesson. Students learn how to effectively collaborate and achieve results within remote working groups. In an ever more international world, developing this flexibility is a unique skill. Robert Kennedy College students and alumni are able to network with thousands of others opening access and creating career opportunities that otherwise may have been missed. One example of such post academic business collaboration is Mircea Baldean, MBA, alumni from the University of Wales/Robert Kennedy College program and Carol Aebi, MBA, alumni from the University of Cumbria/Robert Kennedy College program. Carol and Mircea interacted through the RKC online forum then stayed connected after graduation. 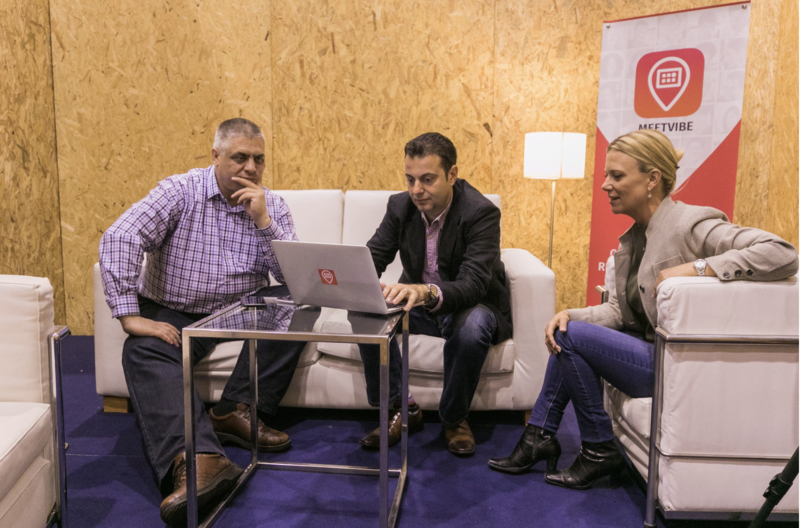 When Mircea was developing a new business idea, he tapped into his university network for validation and concept development, engaging Carol for her start-up strategic expertise. The two also partner with Gabriel, a Silicon Valley-based geospatial technologist, and their business MeetVibe, Inc. was founded. From Zurich to Toronto to San Francisco, the team works remotely but in a very cohesive and collaborative manner, a valuable skill developed through the RKC program. Their app is the next evolution of social technology, creatively layering IoT interactions with market-validated social technologies into a unified platform. Last year they released the MeetVibe beta for iOS. Students from across programs joined in. Influences such as Asad Imam, Mohamud A. Verjee, Slobodan Bogovac, Joyce Njeri, and Jeremy Hewitt all provided guidance and spread the word. With a network of support, in January 2017 the beta for Android was released. MeetVibe launched their business offer in July 2017 at the largest tech conference in Asia, and participated in the Web Summit, the biggest tech conference in the world held in Lisbon in November 2017. Are you maximizing your professional networking opportunities and tapping into this talent pool? It is not enough to simply collect a list of names or link social media profiles. Meaningful relationships extend beyond the online environment and are built with time and attention. Carol and Mircea’s MeetVibe app can help. Sign up today and share calendar availability and social media profiles with fellow students and alumni. Schedule a virtual meeting, call or get-together to develop valuable relationships. Make the most of your RKC experience – build a global professional network to support your success! Hello Adewale, Thank you for your message and your interest. For more information you may request for a free catalogue at http://www.salford.rkc.edu/catalogue?j=face_an. One of our Education Advisors will get in touch with you shortly and will explain the programme in greater detail and answer all of your questions. This is very interesting and encouraging, l want to commend the team for pulling this through. Well done guys! Not forgetting RKC that provided the platform for the team to flourish. My suggestion is that the Organizer’s of the Residency should help by going further to set up a meeting forum aside the regular class for Participants at the Residency by booking ahead meet and grill where participant can have a pre booking areas of interest they would like to network and explore with fellow colleagues before they arrived for the Residency. This would help who is who to have preset arrangements for participants to find a common ground to take the networking to the next level. People can have their area of focus and interest submitted ahead to the Organizer for proper broadcast.